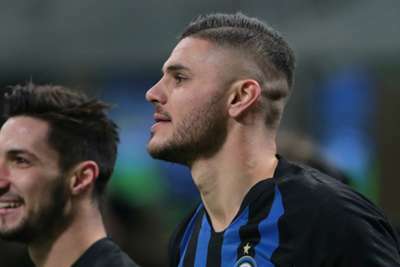 Inter captain Mauro Icardi was offered a new contract two months ago but is yet to accept the proposal according to sporting director Piero Ausilio, who insisted the star forward will not be sold to Juventus. Icardi's wife and agent Wanda Nara claimed the Argentina international is not close to signing a new deal amid links with Champions League holders Real Madrid. Nara also revealed the 25-year-old – who has three years remaining on his current deal at San Siro – was close to joining Serie A champions and rivals Juve before the start of the season. Ausilio, however, dismissed the Juventus claims as he hit back at Nara, telling reporters: "We are consistent with what we've said over the last few months. "We are happy with Icardi as a player, with what he is giving on the pitch for Inter. He always takes responsibility and is afraid of nothing. "The rest doesn't matter: there is an official headquarters, I am at everyone's disposal. Icardi's agent knows where to find me, either in the office or by telephone. The rest, social media, the media, the Christmas box office movie, is of no interest to me. "I have been very honest, I said how things stand. Icardi received a new contract two years ago and signed it. The most recent proposal was two months ago, he received it and at this moment has not accepted. "That does not mean we cannot go forward. As far as we are concerned, we want to continue the negotiations and continue working together. "Inter and I will only do our talking in the office, in our headquarters, not on social media or on television. Beppe Marotta and I are at their complete disposal. "I can happily say Icardi will never go to Juve. You were dragged into this issue by some fairytale comments, but it's not an issue." Icardi has scored 13 goals in all competitions this season, including nine for third-placed Inter in Serie A.